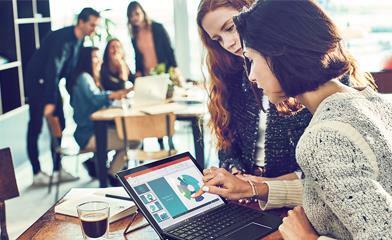 We built Microsoft Teams as a platform to bring together all of your workplace tools, apps, and services—whether or not we built them—to allow you to deliver better workday flow for you and your employees. A lot of you recognize the power of Teams, and you’ve been asking how to use Teams to its full advantage. Look no further. Today, we’re sharing ten of the latest Teams integrations you can use every day to simplify workflows, refocus your attention, and get back to working smarter—not harder. This is something our CEO, Satya Nadella, recently addressed in his interview on the future of communication at work with the Wall Street Journal. These ten integrations bring everything from customer feedback and employee polls, to workflow and project management, into Teams, to make your apps work for you. As one of the largest social media platforms around, Twitter mostly needs no introduction. However, did you know it’s a great way to gather customer feedback? By integrating Twitter into Teams, you can set up alerts relevant to your company. So, when a customer tweets at your handle or uses your hashtag, it flows directly into Teams, where you can share or respond without stopping your workflow. ServiceNow delivers digital workflows that create great experiences and unlock productivity. The cloud-based Now Platform transforms old, manual ways of working into modern digital workflows, so employees and customers get what they need when they need it. Read more about the ServiceNow integration for Virtual Agent, a chatbot that helps build conversational workflows to resolve common ServiceNow actions, as well as IntegrationHub, which lets anyone break down development backlog with codeless workflows in an easy-to-use interface. Zoom.ai lives inside your chat, email inbox, and calendar to help you offload and automate tasks. You interact with it by typing commands in a chat window, where it can schedule Teams meetings for you, brief you on your day, send and receive reminders, and create documents when you need them. It works for you, where you work. Watch the Zoom.ai video to learn more. Trello is a project management software whose boards, lists, and cards enable you to organize and prioritize your projects in a flexible way. By integrating in Teams, you can see your Trello assignments, tasks, and notifications and have conversations about them—without leaving Teams. A fun way to bring together project management and project collaboration. Watch the Trello video to learn more. Polly is a survey app that lets you create surveys in Teams. You can quickly create polls in your Teams channels and view results in real-time. You have the option to create multiple choice polls, freeform polls, or a mixture of both. Turn on comments and you’ve got yourself a full discussion board. Get the answers you need without disrupting workflows or clogging inboxes. Visit Polly for Microsoft Teams to learn more. Disco is a solution that rallies your entire company around your core values. It makes it easy to give public shout-outs and congratulate your colleagues in real-time. So, next time a team member delivers a project ahead of schedule or demonstrates one of your team or company values in their work, pay it forward by giving them Disco “points” in Teams. They’ll feel supported and, who knows, maybe repay your appreciation. Watch the Disco video to learn more. Jira Software is a leading software development tool used by agile teams to plan, track, and release great software. Integrate Jira with Teams for a seamless way to visualize the important things like development velocity, workloads, bug resolution, and app performance all in real-time—from Teams. This makes it easy to inject insights into group collaboration without disrupting workflows. Learn more about Microsoft Teams Jira Connector. MindMeister is an online mind-mapping tool that lets you capture, develop, and share ideas visually. And by integrating in Teams, you can take notes, brainstorm, visualize project plans, and easily show connections between ideas all while discussing details with your team in the chat. Read Create and Manage All Your Mind Maps in Microsoft Teams! to learn more. Adobe Creative Cloud gives you the world’s best apps and services for video, design, photography, and the web including Adobe Photoshop , Illustrator CC, InDesign CC, Premiere Pro CC, and more. Integrate with Teams to bring your creative work and teamwork together. You can share work, get feedback, and stay up-to-date on tasks and actions. Read Adobe XD Adds Integration with Microsoft Teams—Creativity meets collaboration to learn more. GitHub is the platform where developers work together, solve challenging problems, and create the world’s most important technologies. Whether you are a student, hobbyist, consultant, or enterprise professional, the GitHub integration in Teams allows you to create, share, and ship the best code possible. Bringing these apps and tools together in Teams is a great way to bring focus back to your workflow. They’re easy to integrate and offer something for everyone, whether you’re developing software, managing projects, or gathering customer feedback. And with new apps going live on Teams every day, your next productivity superpower is only a few clicks away. Check the Teams Store today so you don’t miss out!